Rocket's point guard James Harden has been playing like a man with his foot on the gas pedal and Adidas has noticed. As he's averaging 29 points, 8 rebounds and an NBA-best 11.4 assists each game, Adidas has dubbed Harden's new edition sneakers, "No Brakes." 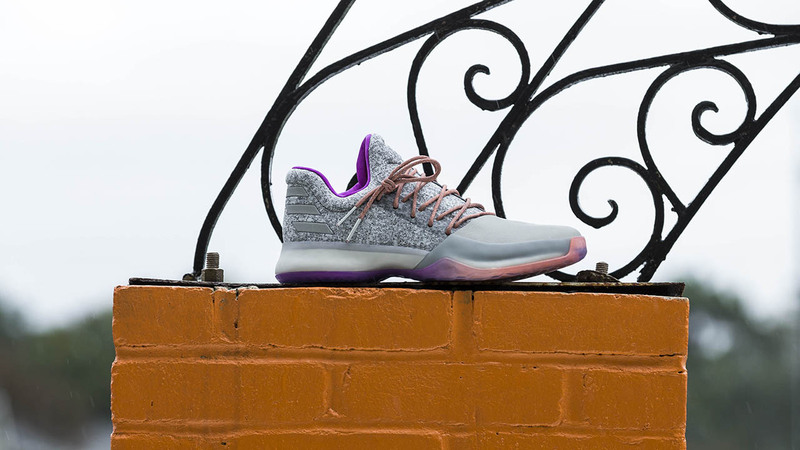 Adidas has just revealed the special edition "All Star" colorway of James Harden's Harden Vol. 1. The shoe is built with a gray Primeknit upper and finished off with a gray leather toe overlay for protection. Color accents appear in the form of orange laces, a purple liner and a gradient fade outsole that blends both hues. He'll obviously be lacing up these new kicks next weekend as he represents the Rockets during the NBA's All-Star game in New Orleans. The "No Brakes" Harden Vol. 1 will be available at all major retailers including Adidas.com this Friday, February 10th.